Robin is originally from Wisconsin where she married the love of her life, later leading to two wonderful children who are both now teenagers. In 2017, she and her family made an exciting life change by moving to Georgia (no more shoveling snow)! They enjoy traveling and exploring different places; going on hiking trails, the beach and to the mountains. Working in the insurance industry has been an important part of Robin's life since 2001. She has guided many customers through unique situations and helped protect them with a variety of insurance coverages. 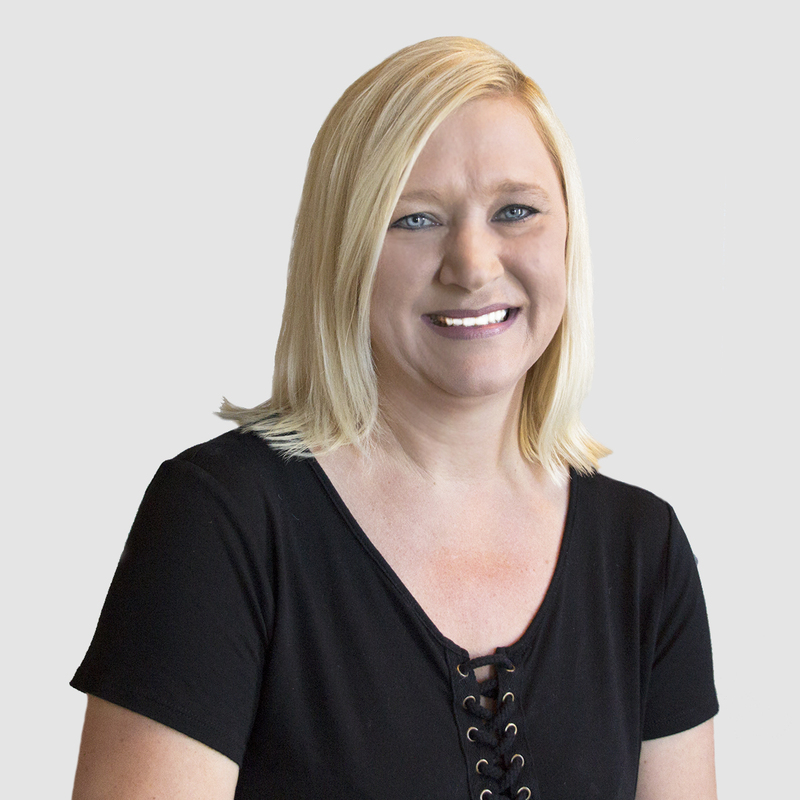 Over the years, she has confidently assisted customers with life insurance, health, dental, vision, accident protection and many other products to make sure they have what they need. 4/16/2019 - Robin returned my quote quicly and answered my questions acccurate. 4/9/2019 - I needed to make adjustments to all three of my insurance policies due to extended international travel. I was very apprehensive thinking that it may be quite an undertaking to adjust my current policies. Not only did Robin answer my questions in an exceptionally prompt manner, but she was also extremely informative and a great resource. She even made recommendations for travel insurance coverage so that I would be covered while I am away. Wonderful working with you Robin! 4/2/2019 - Robin is always very responsive and helpful. She takes ownership of the situation and follows through to make sure that you (as the customer) is taken care of. HenriBrownell: Great support and information! 3/7/2019 - She was attentive to my needs, gave great advice and filled me in on options I had no idea existed. Thank you for your help Robin!! 2/11/2019 - Courteous, knowledgeable, and pays attention to the details. 12/7/2018 - I’ve been in and out of touch with robin for a few months - unsure if I actually wanted dental care. Every time I reached out she was prompt in getting back to. She answered every question I had (and I had a ton!) and was very friendly along the way. What should have been a painful process Robin made very easy. Thank you again Robin for all of your assistance! 12/5/2018 - Robin advises me on what plan was best to suit our family and our needs. My husband started a new job and we needed a plan to cover us while we wait until his new benefits kick in. Thank you Robin! 10/31/2018 - Robin was very helpful in seeking the right plan for my husband and I. She delivered the emails and return phone calls quickly. 10/4/2018 - Robin is a true professional, she is courteous, knowledgeable and helpful. She promptly answered ALL our questions and even helped facilitate our enrollment. Robin was quick to follow up and provided excellent service. 9/11/2018 - Robin is very helpful she answered all my questions and was very informative i was able to understand the process and she even provided a link so that i could finish my application for vision insurance. Phenomenal Customer Service! 8/2/2018 - She gave me the time I needed to multitask while on the phone with her. She gave me an update to the information concerning the enrollment of my sons and assisted to resolve the issue. Robin had a pleasant voice along with patience to handle my situation. I thank her for all of the above!!! rebekahthomas1015: Robin was quick to respond and gave me all needed information! rebekahthomas1015:Robin was quick to respond and gave me all needed information! JP: Robin did an awesome job! JP:Robin did an awesome job! 5/18/2018 - Robin helped me work through my insurance needs and was fantastic to work with! 5/4/2018 - I've had a great relationship working with Robin for the past 4 years. She's always willing to go above & beyond to assist in every way possible. I have referred her to everyone I know because she does a great job & offers a great product. I appreciate all she has done for me, & my family & friends. 3/27/2018 - ALWAYS A PLEASURE WORKING WITH ROBYN.ALWAYS SO HELPFUL. 3/2/2018 - Robin Unger was a great help. The wife and I are both retired and this fits our budget fine! couldn't ask for a better agent. 3/2/2018 - I talked to Robin Unger 4 times this morning because I needed to ask her some questions about my new dental plan; she called me twice because my e-mail that I gave her was incorrect. Robing desreves some Kudos and I surely mean it! 3/2/2018 - I have only the earliest contact with your company, thus far I think only auto-generated e-mail from the offices of Robin Unger....but you know they are so well done, Robin's photo, smile of greeting is all just so friendly and up front. 3/2/2018 - Robin Unger was so helpful. She answered my questions, returned my calls and helped to get the job done. Thank you, Robin, for your professionalism and follow-up to help my family. 3/2/2018 - Robin Unger is awesome, fast to respond and very helpful. Tank you Robin for all your help!!! 3/2/2018 - Robin, Thank you for your helpful and insightful info today! 3/2/2018 - Robin was extremely kind and helpful. Thanks again! 3/2/2018 - Thanks for your help Robin! It's always nice talking to someone that's friendly and willing to help. 3/2/2018 - Robin was a delight. She was very knowledgeable and helpful in selecting the right plan for me. 3/2/2018 - Thank you Robin! You were very helpful regarding the vision plan. You were prompt and professional in answering all my questions. I'm also interested in the dental plan. Will get back to you for that info. Thanks again, many kudos to Robin! 3/2/2018 - Thank you so very much Robin Unger you were kind, patient, & explained each plan in full extensive detail which gave me great comfort in choosing my benefits. 3/2/2018 - Robin Unger helped me out today, it was nice to be able to talk to a real person that knew her job and watned to help! An asset to her company!! 3/2/2018 - Robin has done a great job during the sale processing and related client service. I appreciate her time and effort. 3/2/2018 - Robin Unger has been very helpful every time I have called. I have had a couple issues with my billing because of my credit card and she handled it with no problem. She always has a great attitude and is in a pleasant mood. She's very on top of her field also. 3/2/2018 - Robin Unger saved my day! 3/2/2018 - Robin Unger has been extremely helpful to me through out this process. I have called her several times to ask questions and to change things up with my temporary policy and she has always been helpful and friendly and took time to answer all of my questions. I appreciate Robin! 3/2/2018 - Robin Unger is always helpful and responds super quick. Thanks! 3/2/2018 - Robin Unger helped immediatley and was very informative! 3/2/2018 - Robin UInger did an excellent job explaining the details of the health plan.She was both courteous and knowledgable. 3/2/2018 - Robin Unger--great customer service--thank you! 3/2/2018 - Robin did a great job explaining the options to me. Thanks! 3/2/2018 - Robin did wondeful with helping me get exactly what I wanted. Thank you so much. 3/2/2018 - Great job. I appreciate your help! 3/2/2018 - Robin Unger did a great job today! 3/2/2018 - yes you were extremely helpful and even made me laugh... So yes ROBIN is fantastic! !